The National Council for Women Societies (NCWS) in conjunction with Travel Marketing Partners has concluded arrangements to organize a Food Fair tagged: “the First National Unity Food Fair 2018” slated for October 15th – 17th, 2018. President of NCWS, Mrs. Gloria Shoda said in a statement issued in Abuja that the event is aimed at tackling the perennial food shortage in some part of the country. The event which is billed to hold at the Peace Park of the International Conference Centre, Abuja will coincide with the World Food Day Celebration, which is celebrated on the 16th of October every year to highlight the importance of food to humanity and to fight hunger and poverty. The statement revealed that the 36 States of the federation and FCT as well as private sector players in the food industry will showcase their products and services. Relevant ministries and agencies of the federal government will equally be part of the fair. 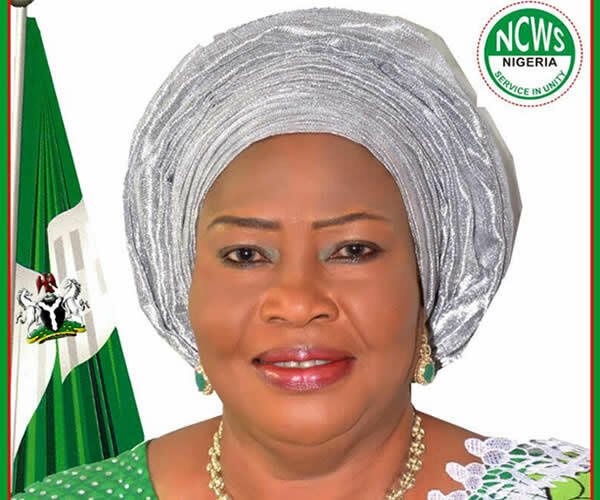 Her Excellency, Mrs. Aisha Buhari, NCWS Grand Patron and wife of the President, Commander-in-Chief, Federal Republic of Nigeria, will be representing Mr. President to declare this epoch making event open. According to the statement, "This event was conceived to enhance the present administration’s efforts towards food self sufficiency as well as diversification of the economy". Some of the objectives of the food fair include: promotion of popular Nigeria dishes from various sections of the country, to encourage culinary exchanges among Nigeria ethnic groups for national integration and to educate Nigeria families on balance food and good eating habits. Others include, to identify and empower women with talents for Nigeria cuisine, to use this platform to generate, demand, enhance and increase employment among women, to boost government’s National Economic Recovery and Growth Plan (ERGN) and to compliment government’s efforts in the attainment of Sustainable Development Goals (SDGs).